What Factors Influence Water Skiing? Howelsen Hill Ski Area will host its final Ski FREE day of the 2016/17 winter season on this upcoming Sunday, March 12, 2017. Ski FREE Sunday is also closing day for public skiing for the season at the ski area. Whether you plan to ski, snowboard, cross-country, fat-tire bike, snowshoe or do more than one activity that day, the entire Howelsen Hill Ski Area, including 13 miles of Nordic trails, is expected to be available from 10am-4pm on Ski FREE Sunday. In addition, the SSWSC will host a FREE learn-to-jump clinic from 1pm-3pm that day and SSWSC athletes will soar off the big jumps during a special training session, tentatively set for 10am-Noon, weather permitting. This is the last chance this season to enjoy Colorado’s historic ski area absolutely FREE. It’s as simple as stopping into the lodge to pick up your free ticket, which is required to access the lifts and Nordic trails on this special Ski FREE day. Ski Free is a partnership between the City of Steamboat Springs, Big Country KBCR 96.9 FM and the SteamboatRadio.com family of radio stations and the Steamboat Springs Winter Sports Club. Owned and operated by the City of Steamboat Springs, Howelsen Hill is Colorado’s oldest continuously operated ski area and home to the largest and most complete natural ski jumping complex in North America. The ski area offers affordable skiing and snowboarding, with terrain catered toward all abilities and ages as well as 13 miles of Nordic, snowshoe and snow bike trails. 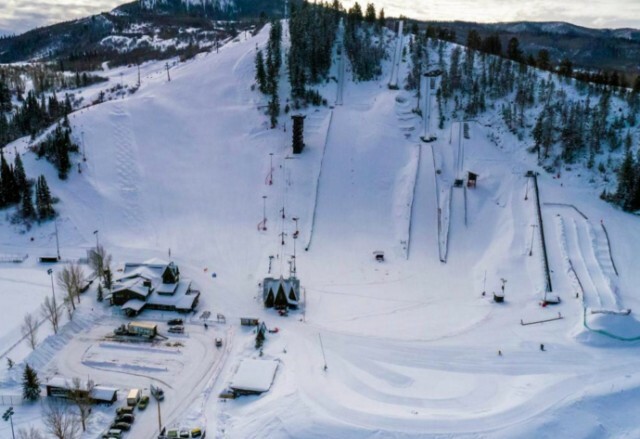 Howelsen Hill has been the training ground for more than 88 winter Olympians and houses the acclaimed Steamboat Springs Winter Sports Club, the oldest ski club west of the Mississippi. The ski area was acknowledged as a Pioneer Ski Resort by the International Skiing History Association and the Colorado Ski and Snowboard Museum and Hall of Fame. The post Final Ski FREE Day at Howelsen Hill Ski Area Slated for Sunday, March 12 appeared first on Colorado Ski Country USA Blog.